I want to take a moment in today’s blog to thank God for the “Ministry Machine”. I was impressed, while driving out to Pallisa, this morning that I should give God more glory for the vehicle that he has given us and maintains for us in Uganda. 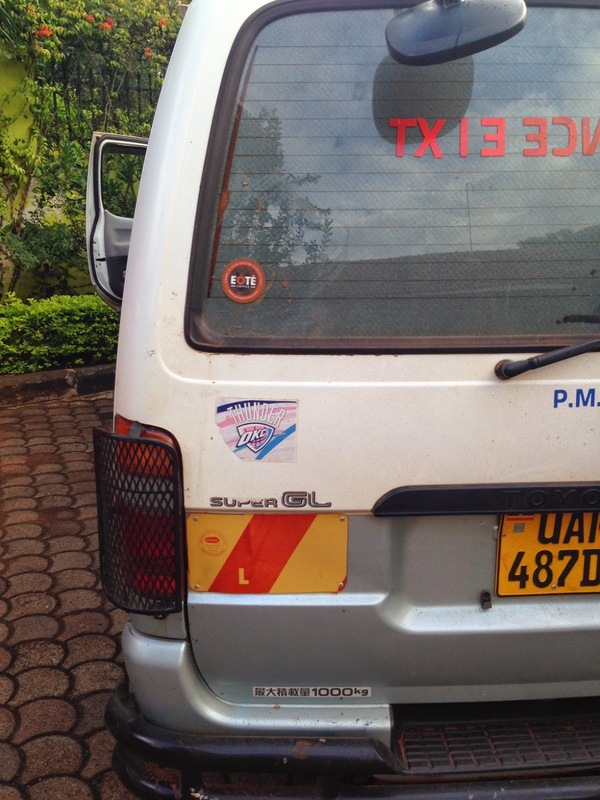 The “Ministry Machine” is a 20 year old Toyota van with 240,000 kilometers on it. It has taken us to all regions of Uganda. We’ve traveled down narrow alleyways, down muddy crater-filled roads, over millions of potholes and countless speed bumps. Despite all of this, it carries on. The air conditioner does not work but the windows open! I’m currently reading a book by Mark Batterson called “The Circle Maker” (I highly recommend it), and I was compelled on our trip this morning to circle the “Ministry Machine” in prayer. In this prayer, I was thanking God for his provision, appealing to Him for protection of the teams that it carries, and claiming a promise that God made to Joshua. I have changed this promise that I have been claiming for the “Ministry Machine”. I am claiming victory, for Christ, in every place that it travels. God has so blessed the investment that Due Unto Others made in this vehicle on His behalf. Tonight, on the journey back to Jinja, we had a little scare in the van. We were about an hour east of Jinja, and it was almost dark, when one of our trunks flew off the roof-top rack. It flew back and exploded on the highway. Perhaps my prayers from this morning were helping, but we were able to make a 3 point turn and go back about 200 yards for the trunk. Also fortunately, the trunk had contained some reading glasses and not multiple medications. We did a NASCAR pit stop where 10 team members jumped from the van and gathered the glasses while David scrambled to the top of the van. We were able to secure the trunks again and make another U-turn heading to Jinja. The best I could tell, only the trunk latch was damaged and one pair of glasses was broken. 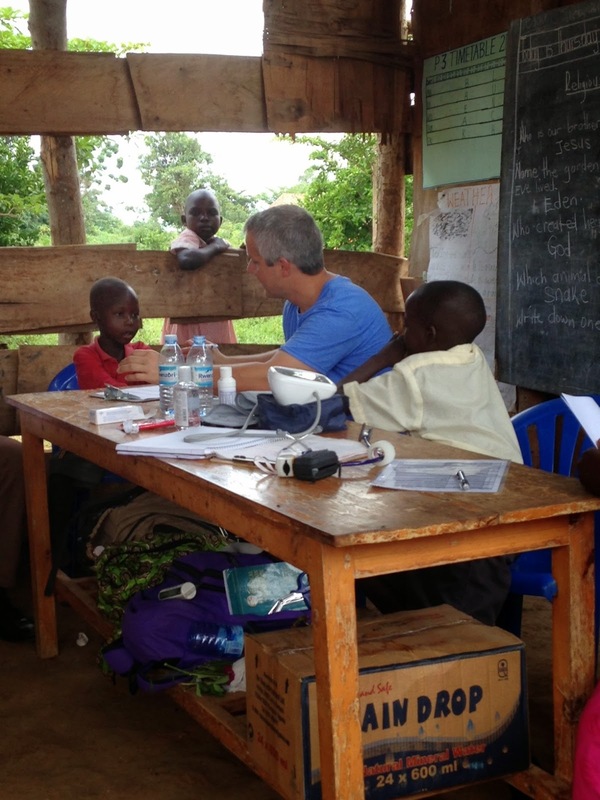 Thursday, in Pallisa, we got a slow start and saw 213 patients. Today, we saw 375! This gave us a 2 day total of 588. Thirty of these 588 were inmates at the local prison. Jill, Pastor Fred, Jamil, and I broke off from the team to go to the prison. While I worked through the medical patients, Jill shared a few words with the inmates. After she would speak, it would be transferred into 2 different languages to cover the different tongues represented. She talked of God and his healing power, both physically and spiritually. She offered Jamil as an example and he graciously joined her at the front of this group. When the time of sharing and witnessing were over, 26 inmates accepted Christ for the 1st time! 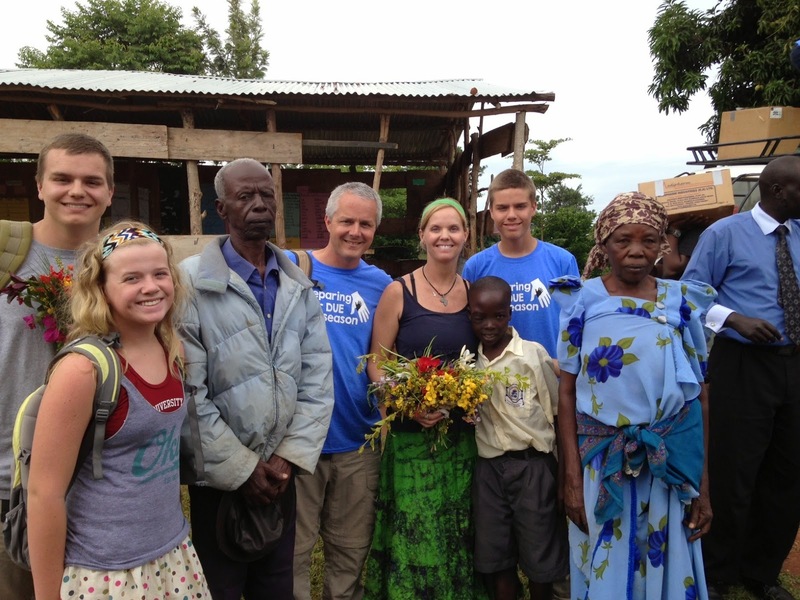 Through our spiritual clinic at the school clinic, at least 2 students accepted Christ! While we were at lunch I was teasing with Jamil, saying that he was “preaching up a storm” at the prison. He dawned an impish grin and said that he did not want to be a preacher, he wants to be doctor! 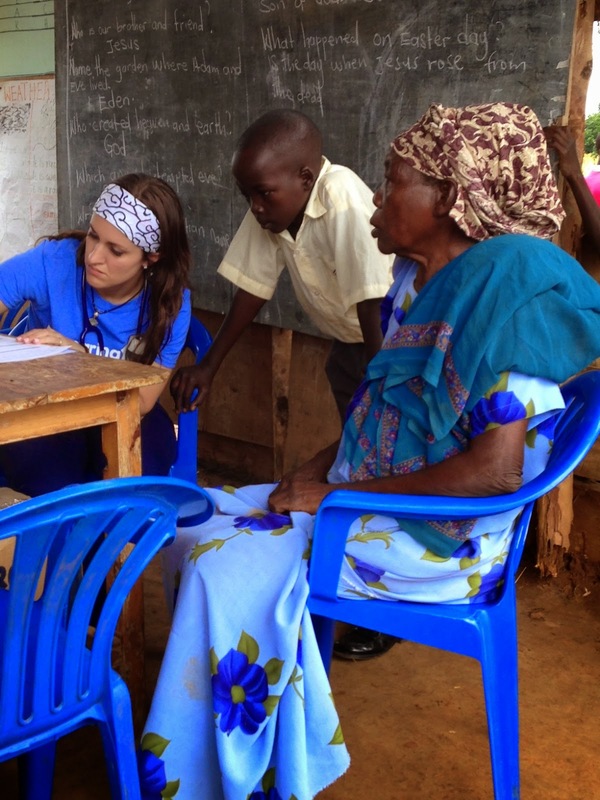 He continued to help me translate with patients and once I caught him looking in a girl’s ear with the otoscope. I joked with his teacher that he was going to jump from Primary 3 to medical school! We were able to deliver 68 -bibles to the prison, insuring that all of the new believers had a bible that they could read. 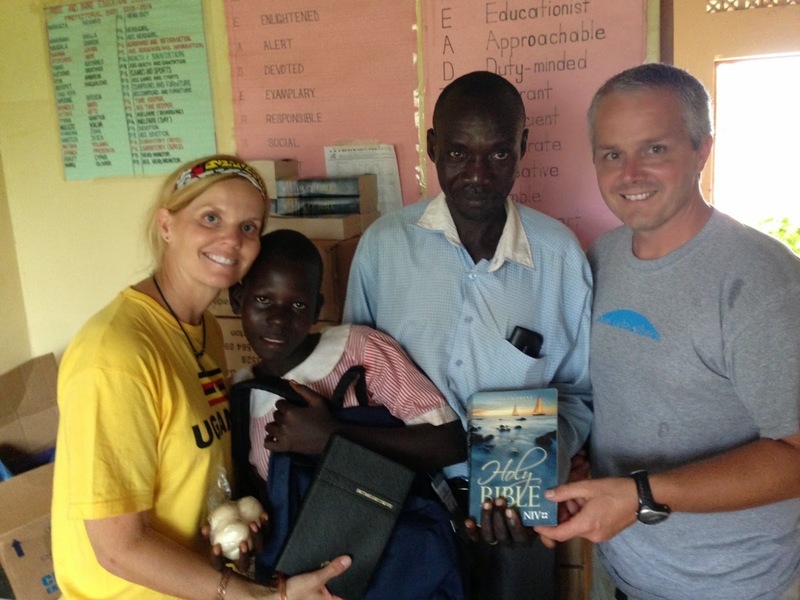 We also were able to give the bibles that we brought to the students of Arise and Shine school. They were a big hit and the students were quick to write their name in their copy to assure that they kept it! We were able to see Sylvia today. 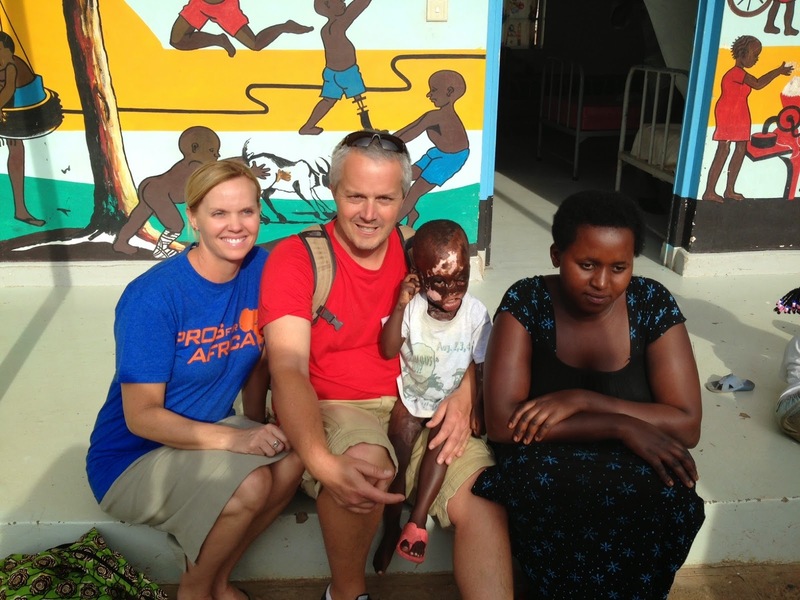 She is a girl that we took emergently to Mbale hospital the first time that we travelled to Pallisa in 2012. She has sickle cell disease. She is chronically anemic, but much less ill than when we saw her last time. We were able to start her on some iron therapy and some medicine for a stomach ache that she has been suffering with. It was good to see her doing so well and attending school. 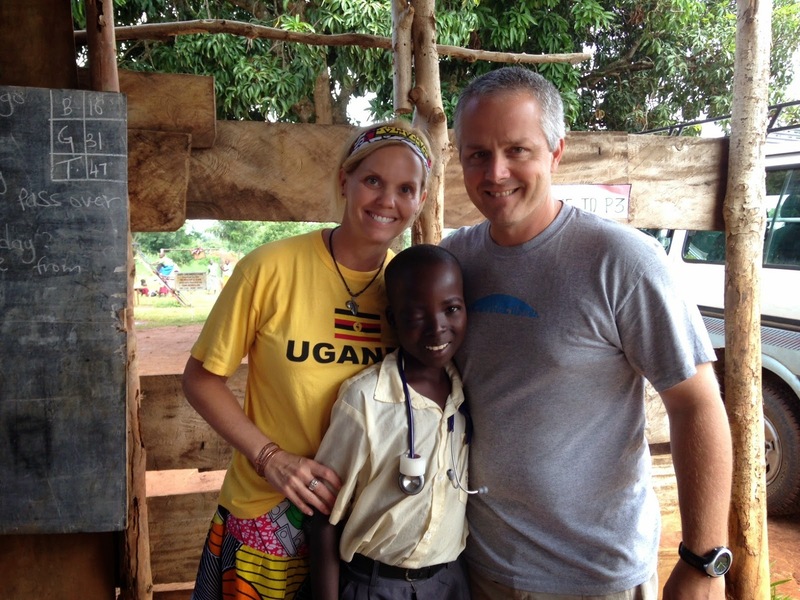 We are sad to leave Pallisa behind, but we are excited to join Pastor Henry in Jinja for the next 2 clinics. 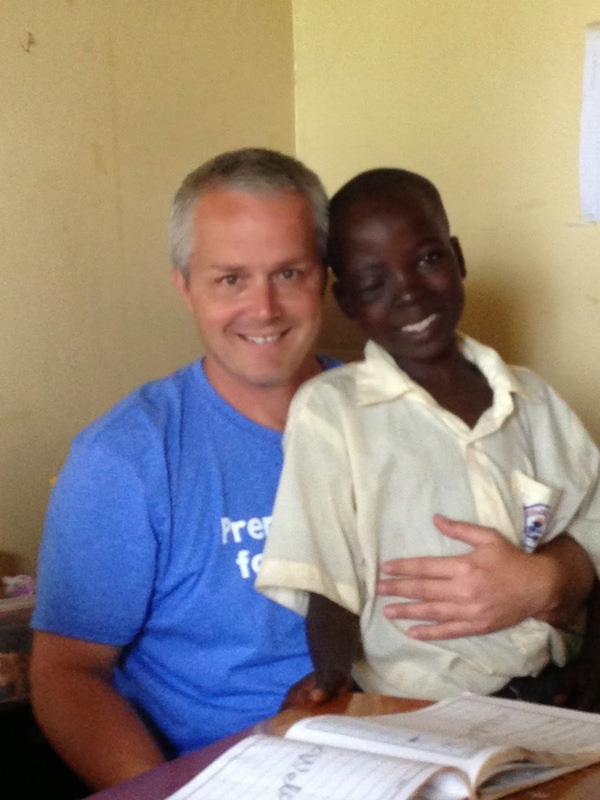 Pastor Henry is who I first worked with when I came to Uganda in 2011. Since we are staying in Jinja, there will be less time in the “Ministry Machine” over the next 3 days, but I won’t stop circling it in prayer. If you are so inclined, please join me in making this 1994 van a fixture in your prayers! After an overnight stay in Jinja (source of the River Nile), this morning we bumped our way out to Pallisa in what was a 2 hour & 15 minute trip. 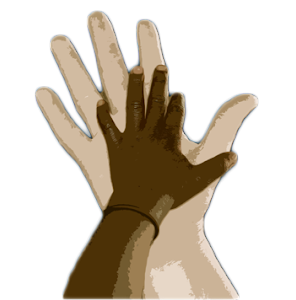 We are working as part of the Africa Renewal Ministries/Renewal Healthcare Network, but our first 5 clinic days are with places not associated with ARM. 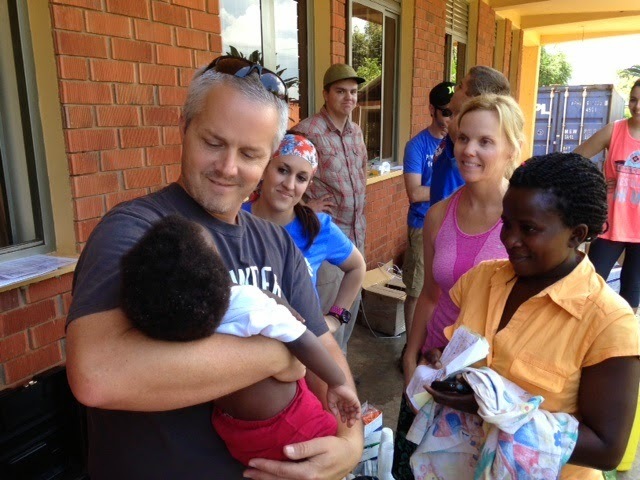 These first few clinics are with people that we have met and grown to love over the years in Uganda. We appreciate ARM helping on these “other clinics”. When we arrived in Pallisa, guess who was waiting to see us with a handful of flowers for Jill……That’s right, Jamil. Oh my goodness! First of all, he has grown at least 6 inches since I saw him last. His right eye, which previously had a tumor, looked infinitely better. But get this, he has moved up from primary 1 (first grade) to primary 3 (third grade) in less than 2 years, despite missing a whole trimester while having his operation and receiving radiation treatments last summer. His English is very good. Actually, like the past 2 years when we have visited Pallisa, he hung around my work station while I was seeing patients. This year, however, he helped April and I translate. I kid you not. Our hearts are swollen with pride for him. 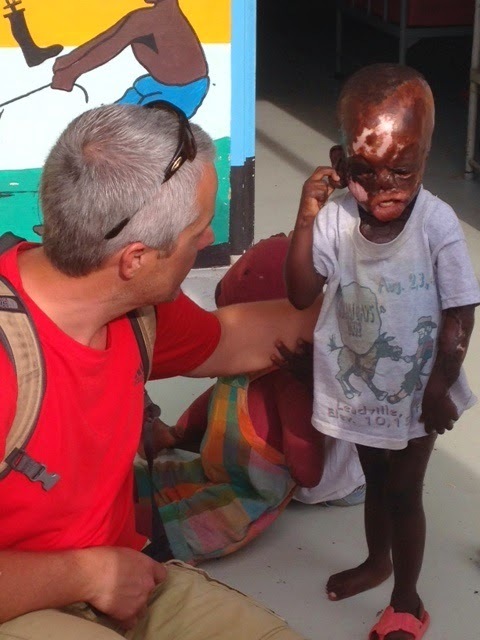 This young man was not allowed to start school because of the distraction that his eye tumor and subsequent deformity caused. He was shunned because many in his village thought that he was possessed by an evil spirit. Now, he has so much going for him. 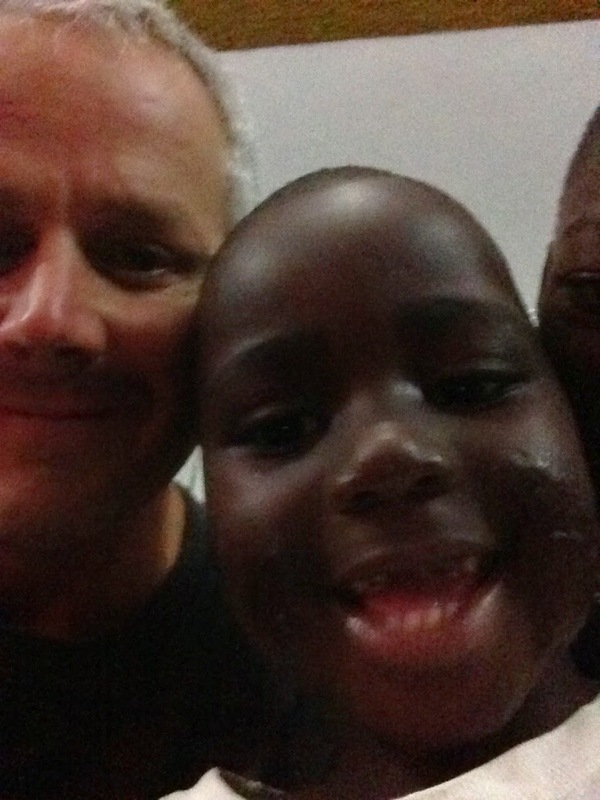 Sponsors of Due Unto Others are supporting Jamil to go to school and his continued medical care. He has so much going well for him now. Please keep Jamil in your prayers. 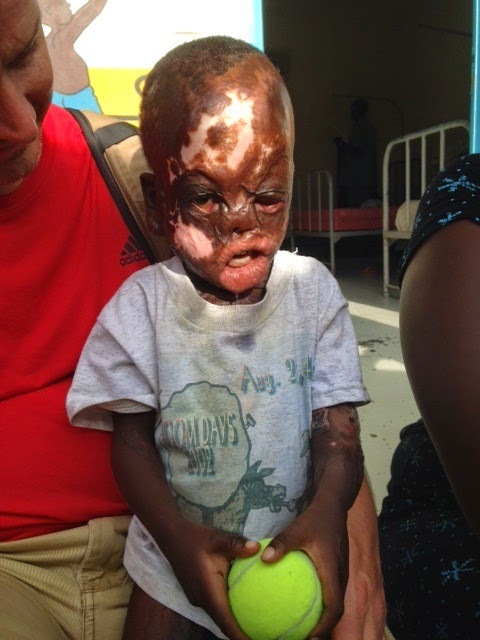 He is coming to Kampala this week for a repeat CT scan to make sure that the eye tumor has not returned. We pray that the tumor is gone and never to return. Otherwise at the clinic, we were a little rusty getting started. I felt like a rookie as we forgot a whole trunk of medicine when we packed to leave our home base yesterday. It just so happened that the forgotten trunk contained the allergy medicine and MALARIA medicine. Ugghhhhh. I hate making rookie mistakes and it took me most of the morning to get past it and enjoy helping the people of Pallisa. Jay is a little angry. 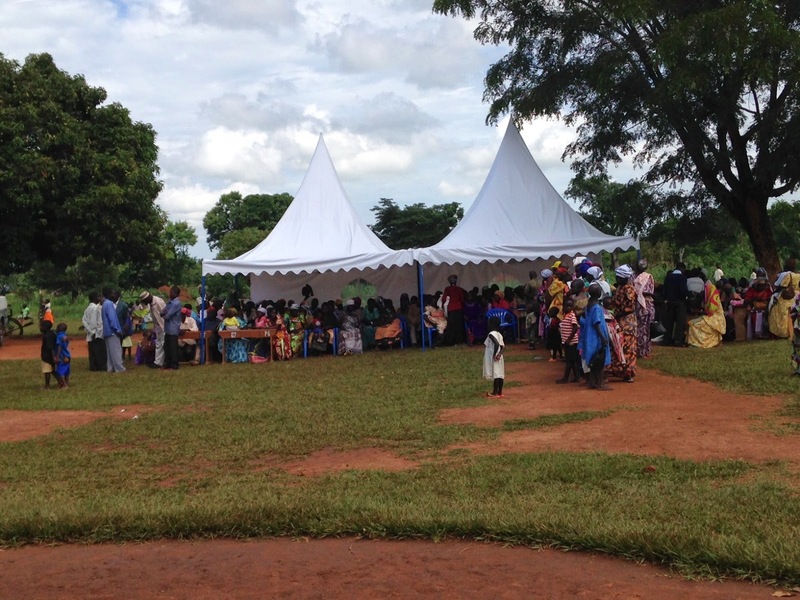 We were able to treat some people with an alternate malaria medicine, and we gave out some IOUs for the others. 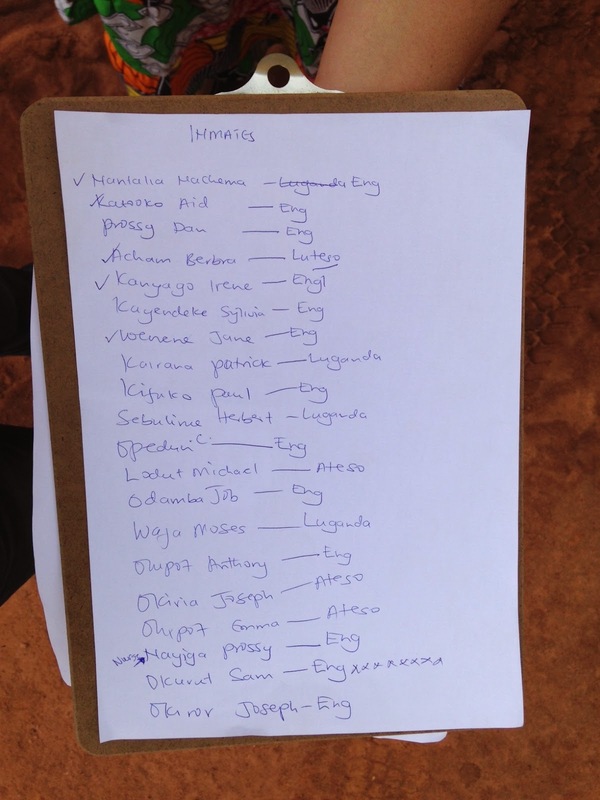 We will be raiding a pharmacy in Jinja tomorrow morning and bringing the CORRECT medicines tomorrow. 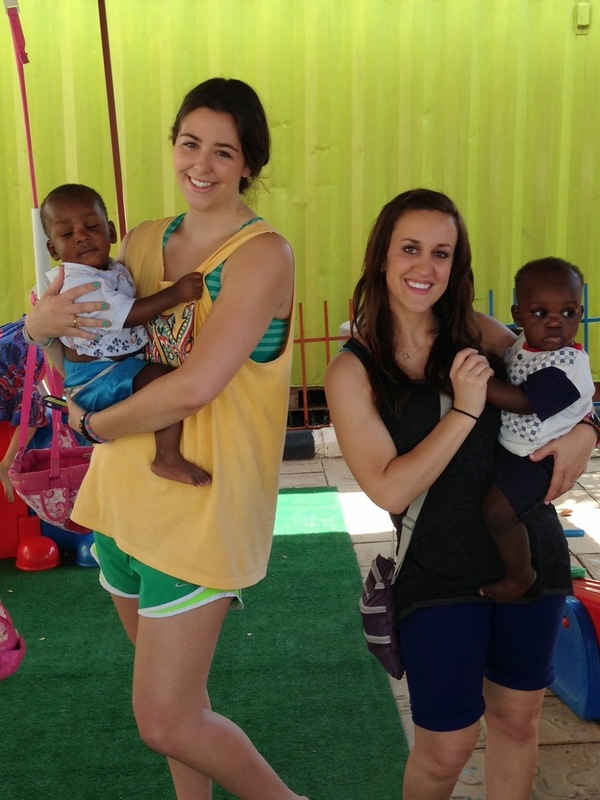 Anna Catherine Ortego and Mason Lang have joined us for the first two weeks of this trip. 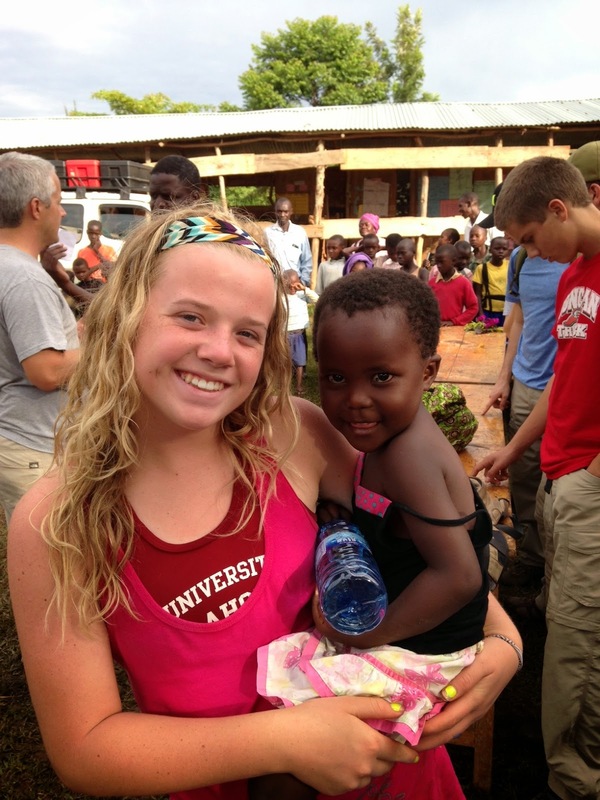 Anna is a college student at Nichols State in Louisiana. She is majoring in pre-med. 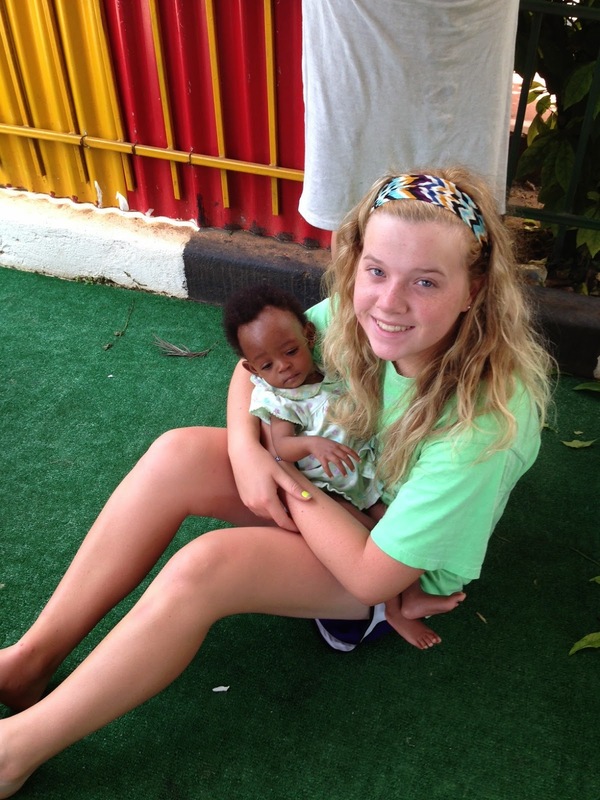 We are delighted that she has joined us for the first 2 weeks of this trip. Mason is my nephew and a college student at Cameron University. Both Mason and Anna got their first taste of clinic action today. As I type this from the ministry machine van on the 2.25 hour trip back to Jinja, they both appear exhausted. I am anxious to hear their thoughts, on today, at our team meeting tonight. They caught on quickly and were quite an asset in the pharmacy today. 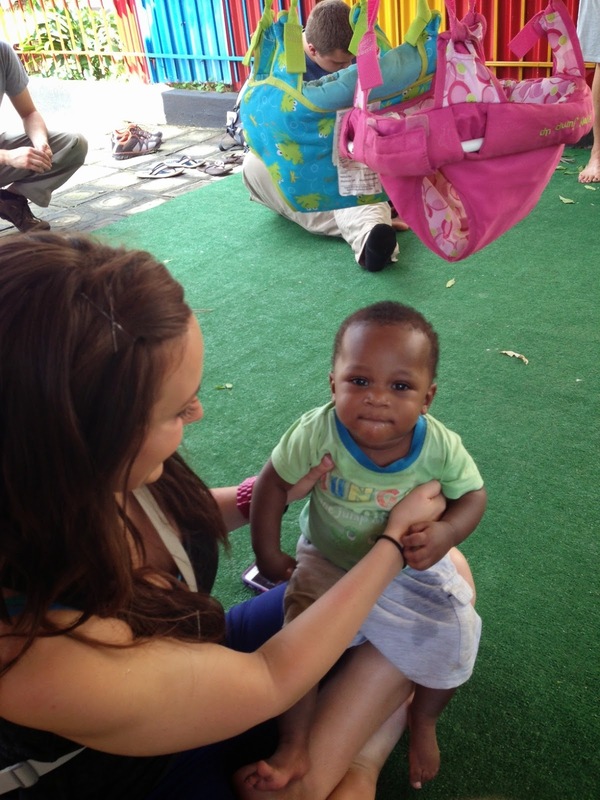 Yesterday (Wednesday), we went to the loving hearts babies’ home, before leaving Gaba. 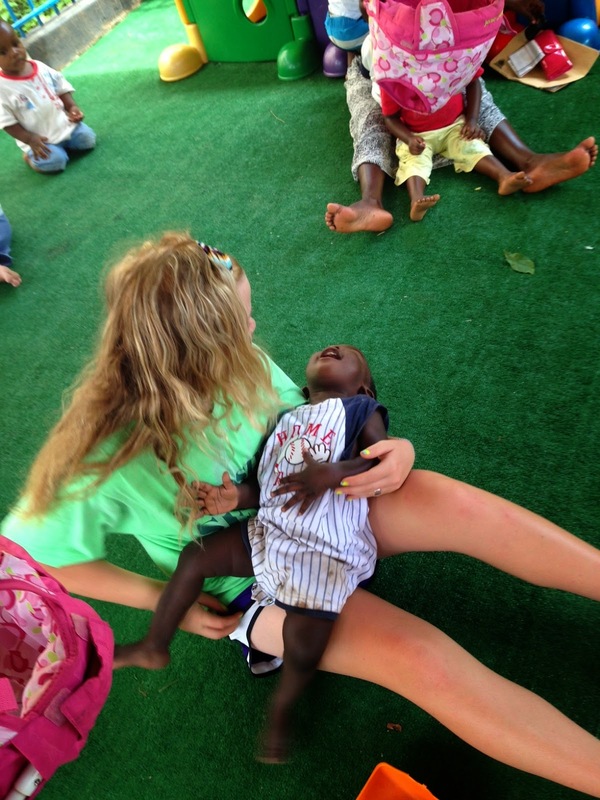 We got to love on, play with, and feed some of the most beautiful children you will ever see. All of them have been abandoned and are awaiting adoption. 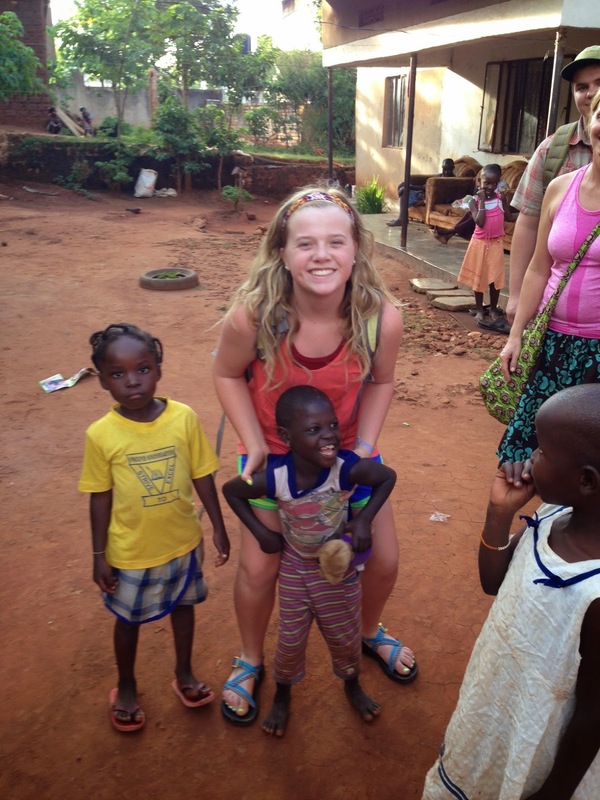 Thankfully, all of the children that we have loved before at the babies’ home, have now been adopted. All of the children now there, have been added since our last visit. The ladies that work there do such a good job of bonding with and taking care of the babies. I have to limit Jill’s time there because she starts to get a little “twitch” if she stays around those babies too long!!!!! Tonight we are regrouping in Jinja. Tomorrow we will grab the needed medicines, when the pharmacy opens, and then head back to Pallisa. We saw 213 patients today and we hope to match those numbers tomorrow. We will see community members, students and some of the prisoners. I am excited that tomorrow we will be presenting every student, teacher and support staff at the Arise and Shine school with a new bible. 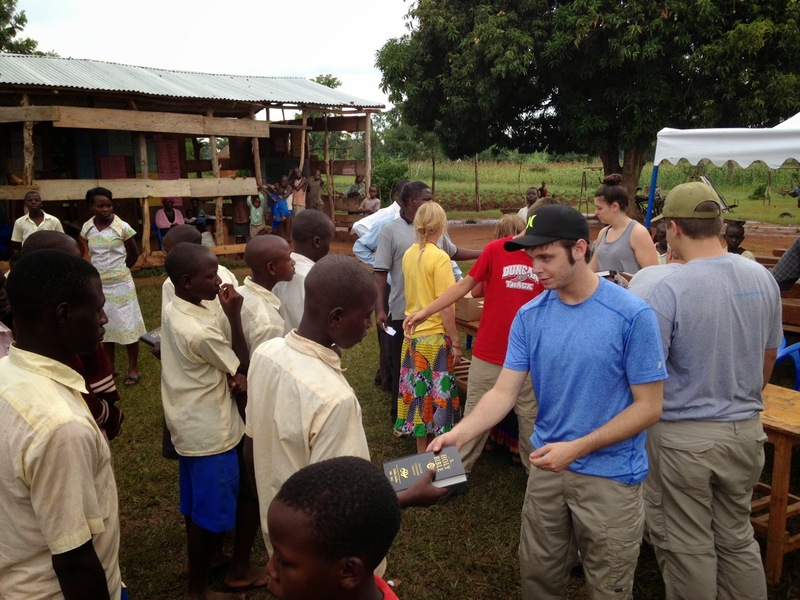 This bible give away will be a huge deal in the school as many of the students will have a bible for the first time. The bible project was made possible by generous donors to RawChurch and to Due Unto Others. Thank you to everyone for helping us get this done. 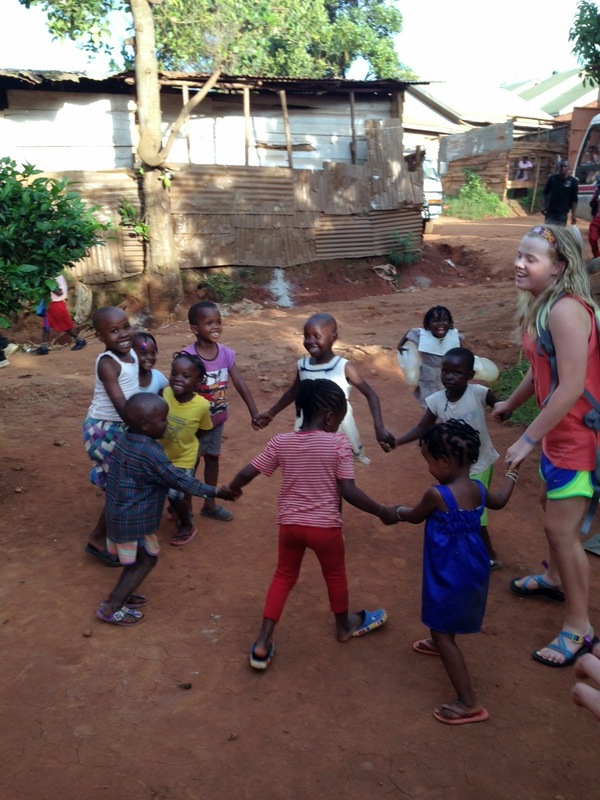 We have safely arrived in Uganda and spent our Monday getting our clocks adjusted, seeing some old friends and ……..looking for a place to stay. That’s right. When we left the guest house that we stayed in for the 2013 trip, the manager indicated that he would love to have our group back in 2014. We made our schedule in December, gave him numbers, plugged the rates into our budget and then he informed Faith (the big boss in Uganda), 2 days before we arrive, that they will not be able to host us. We did not know this little nugget of information until we pulled up at the “wrong” guest house at 1:30am on Monday morning after flying for 24 hours. The Aspen Place is about a mile from our previous guest house and Wentz Medical Center. There were several things that we liked about the other guest house: Location close to the church and medical center, beautiful view of Lake Victoria and a large living room and dining table for meals together. The Aspen has none of those, but it is clean and seems safe. We aren’t able to stroll out into the market for pineapple and avocados, but we can take a short drive to these areas. We looked at a place across the dirt road from Wentz Medical Center (our home base), and it is still an option. 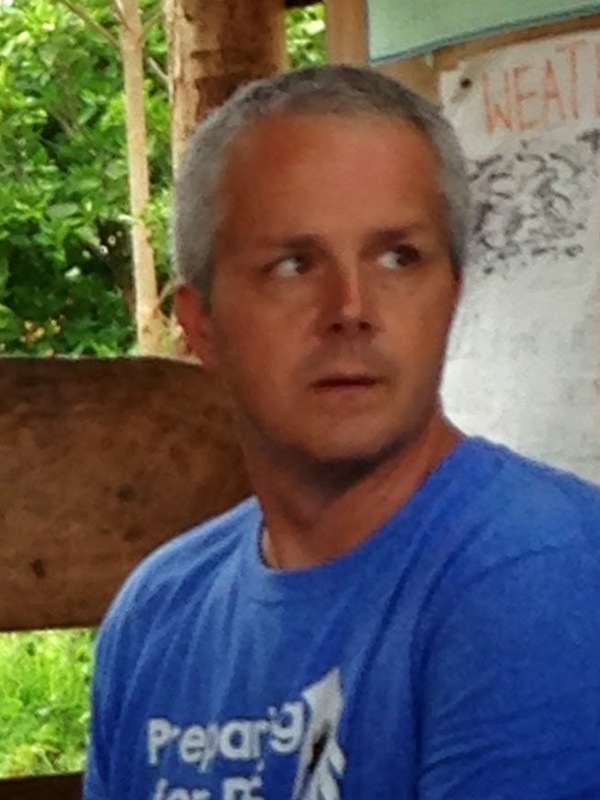 We also talked to a new friend from Watoto, Randy. He is looking to see if there is any space at one of their guest houses. Only problem there could be that they are farther from our home base. One thing is for sure, we will have to pack and store all of our stuff before we go out on road trips and won’t be able to leave stuff like we did before. This morning, I have been running the scenarios and checking the costs to see what it will cost to stay in the different locations, but I have been convicted that home is not the location, it is the family/people. We reconnected with some of our good friends yesterday, including David, Faith, Dr. Martin, Dr. Louis, Andrew, Kevin (the little boy we met last summer with the burns) & Julie. Today we have seen Jonathan Kabanda, Jonathan (with burn on his arm), Tendo, Nakiganda, Teddy, Bashira and Shakib. So, despite not being in the location we anticipated, we are home. Here are some updates for you. Last night we went to CORSU hospital to see Kevin. He is doing so much better! His neck and shoulders work normally. His eyes and mouth are much better. His mom tells me that he is eating and drinking well. His last operation was to release some scars on his left elbow. He played catch with us and wanted to kick the tennis ball. When we first met Kevin, I wondered if he would live. Now, I think he will be attending school, at some point. Thank you to everyone who has prayed for Kevin and those who have given for his care. You have changed the life of a young boy. 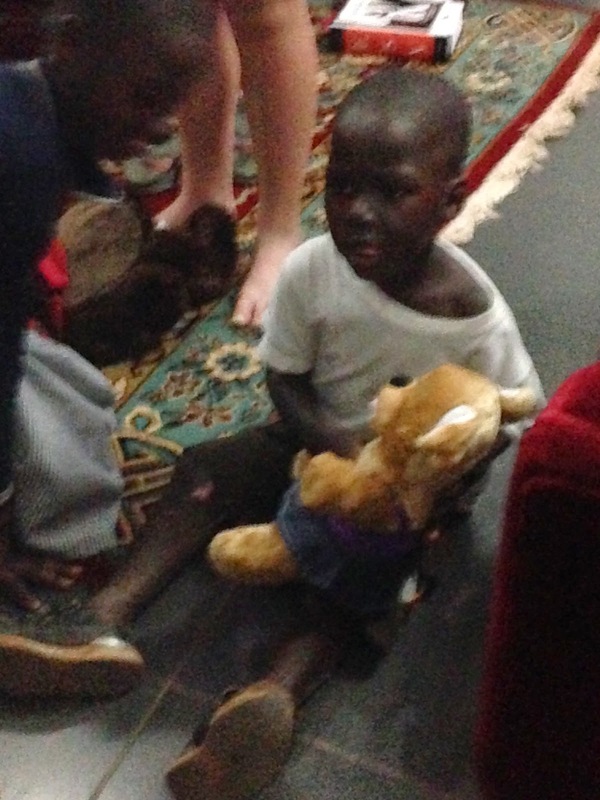 Today we saw Jonathan, the boy who had the bad burn on his arm and abdomen. He was miraculously healed when we were here in 2012. 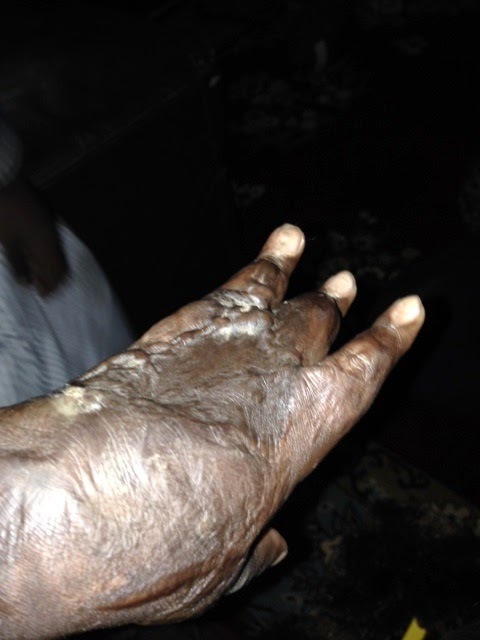 Today when we stopped to see him, I had to look quite closely to determine which arm was burned…..truly a miracle of God. Jill was walking back to Wentz, apart from me, and she too stopped to see Jonathan and had to examine him closely to see which arm was burned. 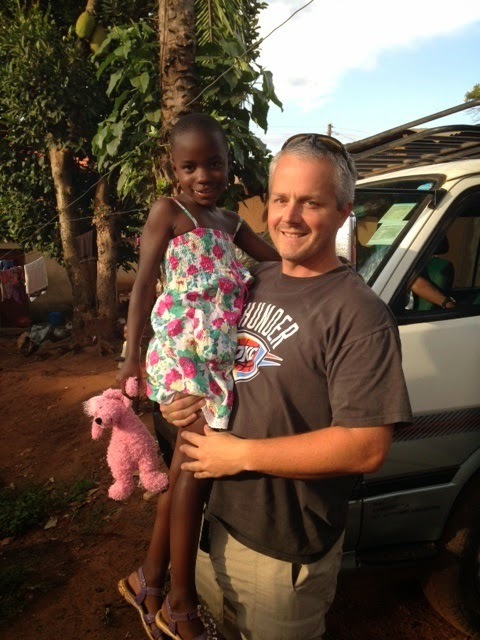 While we were sorting medications and supplies for tomorrow’s trip, a young lady brought a girl named Mary by to see us. We had seen Mary last year and Due Unto Others supporters were able to help Mary to get an EEG to evaluate for seizures. She has now been started on seizure medications. She appears to be doing well. We went to visit Nakiganda this afternoon. She growing quite well. She has earrings, and is absolutely beautiful! She is growing and walking much better. She is still not in school. This is a girl that is 9 years old or so. We had a good time playing ring around the rosies with the neighborhood kids. We stopped to see Tendo. She is smiling and looks as ornery as ever. She says that she is doing well in school. Her mom was not home yet, therefore, we could not get the whole story. She seems to be recovered from her major surgery which repaired her diaphragm. Tonight, Teddy brought Shakib by for a visit. He is a miracle walking. His left hand, once mangled and scarred looks really good and he is using it to eat and play with toys. His scar at his hip that kept him from standing straight is now gone. His sister, Bushira Nalweyiso is attending school. Today, we were walking past the school and she yelled “I love you” from the inside. We had not even seen her yet, but she recognized us from before. It has been awesome seeing some of our “old” friends. We look forward to seeing Jamil on Thursday and others as we go. 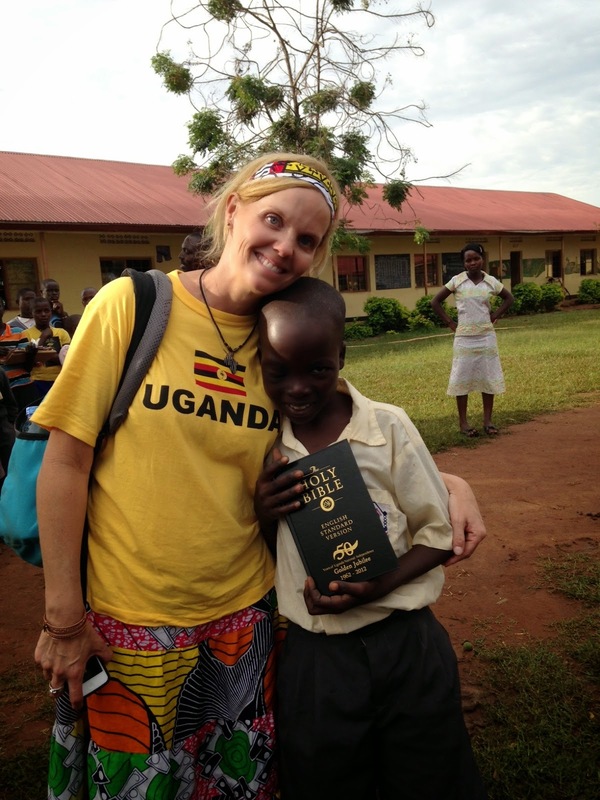 We have made many friends in Uganda. This fact is what makes it feel like we are back home. Not the house. We continue to prepare for “Due Season”. 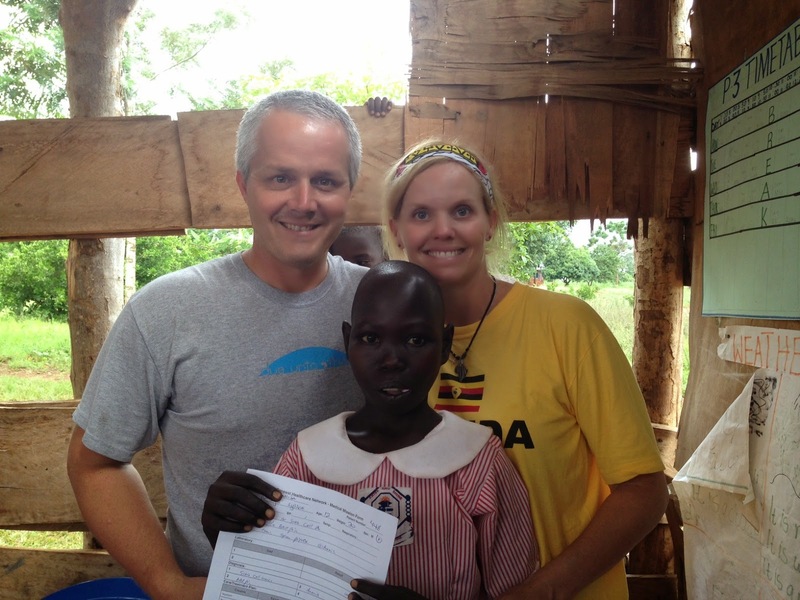 Leaving for Jinja Wednesday am and working clinics in Palissa on Thursday and Friday. Have you ever noticed how noisy the world that we live in is? It seems that there is always some noise around us. With TV, ipods, radios, computers, cd players, it seems that we have noise everywhere and at all times. 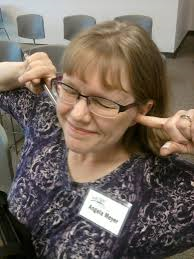 In fact, many of us feel uncomfortable if there is no noise. Can you drive in your car without some noise from your radio? Can you be in your house without the TV on? Can you sleep without some noise from the TV or some sort of “white” noise? It’s true, quiet places can be un-nerving. I’m convinced that we keep our lives cluttered with noise to avoid deeper thought and introspection. If you find yourself in a quiet place, what do you find yourself thinking about? Are you thinking about your job and the deadlines you have coming? Are thinking about your kids and their daunting schedule for the upcoming week? Are you thinking about your favorite sports team and how they might fare in their next game? I think that where our minds go in the rare “quiet places”, is evidence of what is most important to us. Christ gave us several examples of our need for “quiet”. 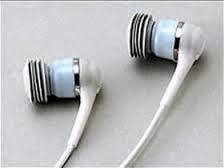 This week as you go about your routine of life, leave the radio off, leave the tv muted and keep the ear buds in your pocket. Dedicate the “quiet times” to prayer and conversation with God. I am thinking that He will bless your dedication of this time with answered prayer, new revelations and a peace that you have not experience in some time. Carve out time to be “quiet times” and dedicate those times to digging deeper into God’s word and to communicating with an awesome God that allows us to come boldly to him as a friend. Weed out the mind numbing noise and see what God has to say to you today!